You need to have a clear offer in your area of expertise, before you can take it to market to sell. But how do you know what to sell, and how to package it? We chat all about putting together a create client package in this video. Surprised I’m not talking about videos? Well, you need to have a clear offer to sell BEFORE you can take it to the market, right? So today we’re going to be talking about knowing exactly what you’re going to sell and how that makes your marketing EASIER. We’re all about easier, more effective marketing around here. So here’s the problem: you’re not sure what to sell. Or… You know what to sell, but you’re not sure how to package it. There are so many options! One on one, group programs, courses… etc. Plus, you don’t know how long to make the service last or what would be the most effective packaging. We have all experienced this stump in our progress before, and that’s why we’re talking about packaging today. Powerful marketing starts with YOU. Stop looking at how other people are selling and share YOUR GIFTS. Your secret sauce, as Jacqueline Yvette puts it, is you being YOU. Your brand? It’s built around you. Your likes, your services, your hours, your gifts. So share those and stop worrying about how everyone else is doing it. Break the rules for delivery. They say get to know the rules before you break them… but we’re inundated with rules every day. “You should have a 3 month coaching package.” “You should have a Facebook group for that coaching program.” “You need to have weekly coaching calls.” “Hot seats are a MUST!” But guess what? Your audience wants a NEW experience. They want to experience what you’re offering in the WAY you want to offer them. Kind of mind-blowing, right? Your tribe is attracted to the way YOU do things. So be you, boo! Do it heart. The energy transmits! What makes people buy is not just what you offer, but your ENERGY behind said offer. Can you imagine buying a program from someone who went live and looked like they’d rather be anywhere else? No… you’d be like, “Why is this person even offering this? They look like they hate life!” That’s not to say you have to be AMAZING at live streams, but your energy needs to be excited and happy. One of the most contagious energies you can share on a video is the confidence that your package is exactly what your tribe needs. Brain dump a list of things you would love to help people with: editing videos, getting in shape with an exercise plan they’ll love and stick to. FOCUS ON THE RESULT, not the method of delivery … that comes later, but you’ll just overwhelm yourself by trying to organize too many things at once. Scrap the thoughts that don’t light you up; do you REALLY want to do this? Shortlist until you have 1, 2, or even 3 that you really like … WHICH ONE ALLOWS YOUR NATURAL GIFTS & INTERESTS TO STAND OUT THE MOST? Is there a way that you could create one amazing package out of this? WHAT’S THE ULTIMATE BENEFIT OR TRANSFORMATION? What are you ultimately helping people with? Ask past clients, colleagues, facebook groups if this is an area of interest. Ask them what’s their biggest roadblock in achieving this transformation? Adjust your benefit/ transformation if needed. Now you know their biggest roadblock, think of where they are now, and where they need to be. Post it notes to map out the steps they need to get there: starting with mindset, maybe it’s understanding the fundamental practices, or understanding WHY they need to eat a certain way to get results. You don’t need a ton of post it notes .. should be 3-6 MAX because you want INSTANT WINS and not giant transformations .. they don’t happen in a short period of time. Don’t get stuck in perfection and traditional methods, change things up and BE YOU! Group programs: deliver in a FB group with live videos or zoom. 1:1 services: take notes along the way to learn as much as you can about your clients so you can serve them better in the long run. Create content that addresses the questions and concerns of your audience with a call to action for a strategy session, sales page or paypal link! Webinars are AWESOME, so are 5 day live video challenges! It takes time with the same message and same offer for your audience to build trust. Just because it doesn’t sell right away doesn’t mean it’s bad .. it means you need to stick to it for at least 2-3 months. Know your value .. if you need to adjust, that’s okay and not a reflection of you, but simply could be your message needs to be tweaked or there’s audience saturation. NEED AN EXTRA BOOST? BOOK A CONFIDENCE SESSION WITH ME! Book this 90 minute 1:1 session to map out your offer, perfect the language, and start making sales. 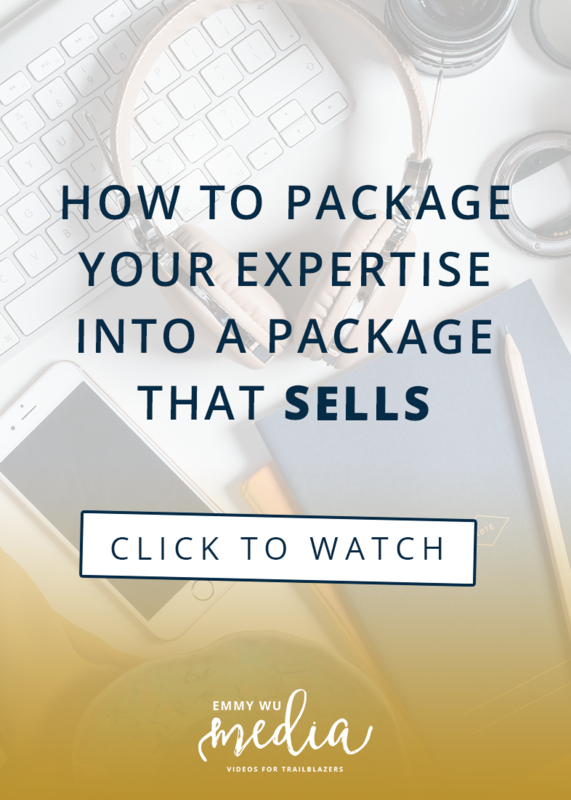 You’ll get the recording, my insider resources like sales page templates and emails to make selling your package easy! CLICK HERE TO BOOK YOUR TIME & START MAKING MORE SALES!